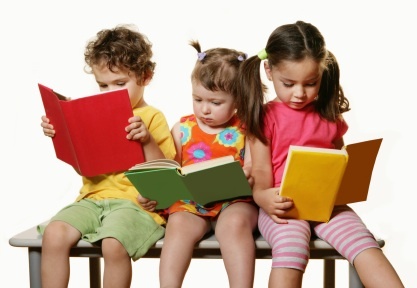 Although I taught reading basics to each of my children in kindergarten, they each learned to read at different ages. My first child didn’t really read well until she was in 3rd grade, but became my most avid reader. I remember being relieved when I saw that once she began reading, she loved it. It’s such a thrill when reading finally ‘clicks’ and our children no longer have the frustrations of sounding out words and working out meaning. I was more relaxed teaching my younger two children. I didn’t push them as hard, but they both mastered the skill by first grade. I was confident that all would be well from that time on. But sometime around third grade, one of my children began regressing in their reading skills. Still testing above average each year, I didn’t see this as a red flag and just thought that this child was better at math than language arts. It wasn’t until late in high school that I saw that there were some comprehension issues that I’d never addressed. Needless to say, we did a comprehension blitz in the last two years of high school with reading tutors and speed reading courses to try to make up lost time. My child did improve and successfully completed high school and college. So my tip for today is not to overlook or neglect signs of reading difficulties when your children are young. Sometimes there are changes in vision or tracking that, if caught early, can be corrected fairly easily. Other children have trouble because they do not read large enough groupings of words at one time which causes poor comprehension; something as easy as reading aloud or speed reading can force the eye to move faster and aid understanding. Teaching pre-reading techniques can be very helpful in not only aiding reading comprehension, but also at enhancing writing and study skills that become invaluable in high school and college. The ability to identify and restate or outline significant information from what one reads are foundational to learning independently. These skills once mastered in the elementary years become natural as the students go on to higher levels of education. Finally, as homeschooling parents, it is our desire to prepare our children for success in all areas of life to the best of our ability and theirs. Isn’t that why we homeschool in the first place? So, if you feel that your child might be having difficulties reading, don’t neglect the signs. It’s worth slowing down a bit to make corrections while they are young.